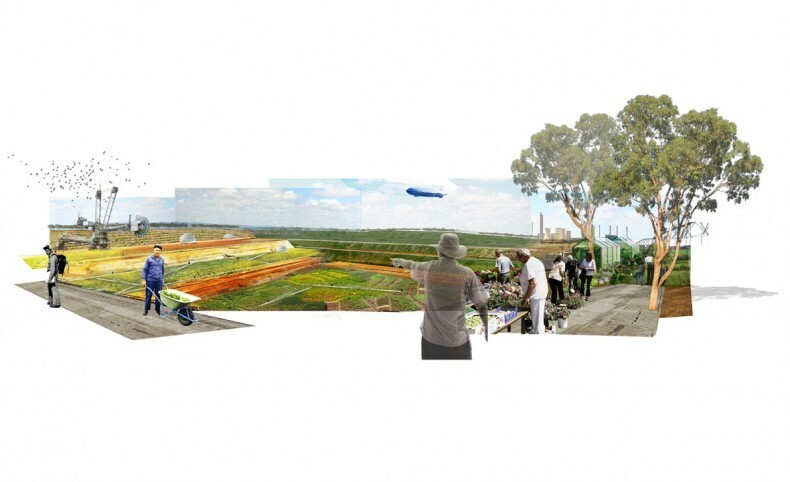 The larger, Transiting Cities: Low Carbon Futures Latrobe Valley program, initiated and led by RMIT University and OUTR (Office of Urban Transformation Research), aims to help Latrobe Valley shift from its existing, coal dependent economy, to more sustainable economic and spatial models. karres+brands made a proposal for the design competition in 2012 and have been involved since as consultants with Bart Brands as steering committee member. The program is targeting the mining cities of Morwell, Churchill, Traralgon and Moe. However, the harsh impact and cost of fossil fuels was felt late 2014 when a heavy fire started in one of the open pit mines next to Morwell. This has brought the city into the center of attention of, not just researchers and designers, but politicians as well. The city is now the focus of an extensive research and planning process aimed at strategically shaping a shared vision for a sustainable future of the city. Under the name Future Morwell. The Morwell Recovery Plan, focuses on urban design , beautification, branding, infrastructure and economic growth. With consultancy from karres+brands, RMIT and OUTR have shaped a vision for Morwell which aims to ignite long term transformations through small acupuncture like interventions that involve and stimulate inhabitants. 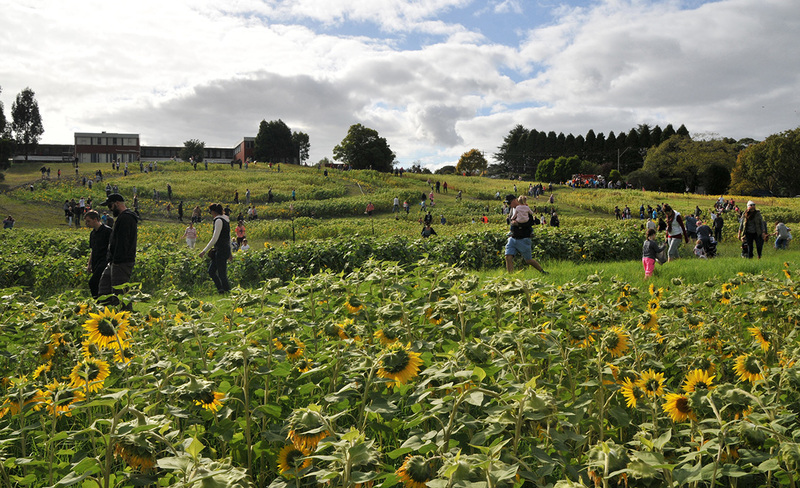 One such programs is the Get Sunflowered initiative, started by OUTR together with artist Ben Morrieson, community groups and local government. 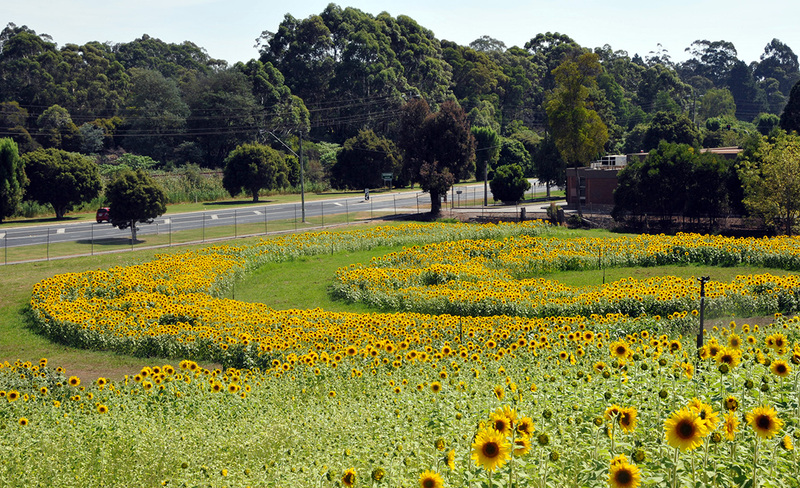 The program transforms redundant and unused spaces into beautiful sunflower gardens as a means of empowering local communities. These temporary gardens include designs by international landscape architecture practices as well as local groups. They are built, maintained and used by inhabitants, and enable citizens to understand how they can be active agents of chance in their community. 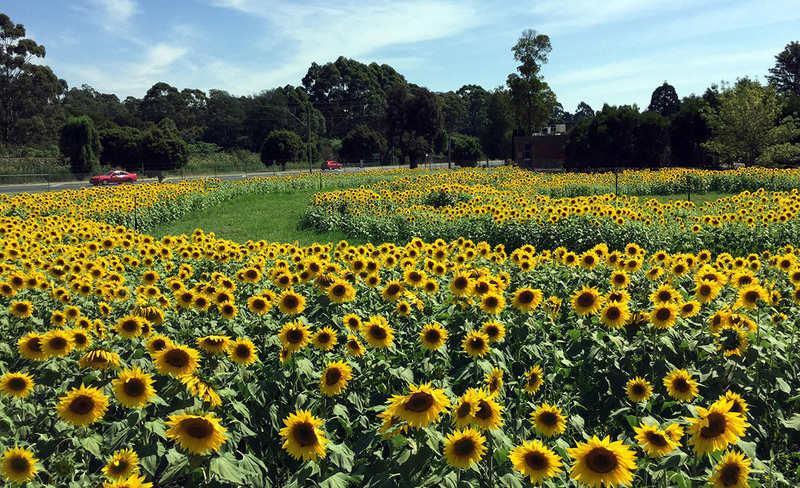 This year karres+brands made the design for one of the sunflower gardens and we are happy to see it grow into a such a successful community space. Inhabitants came together to plant and maintain the garden, as well as to celebrate. Parties, with live music, food and entertainment, and even the traditional Easter egg hunt have periodically made this empty plot a vibrant space for city life. 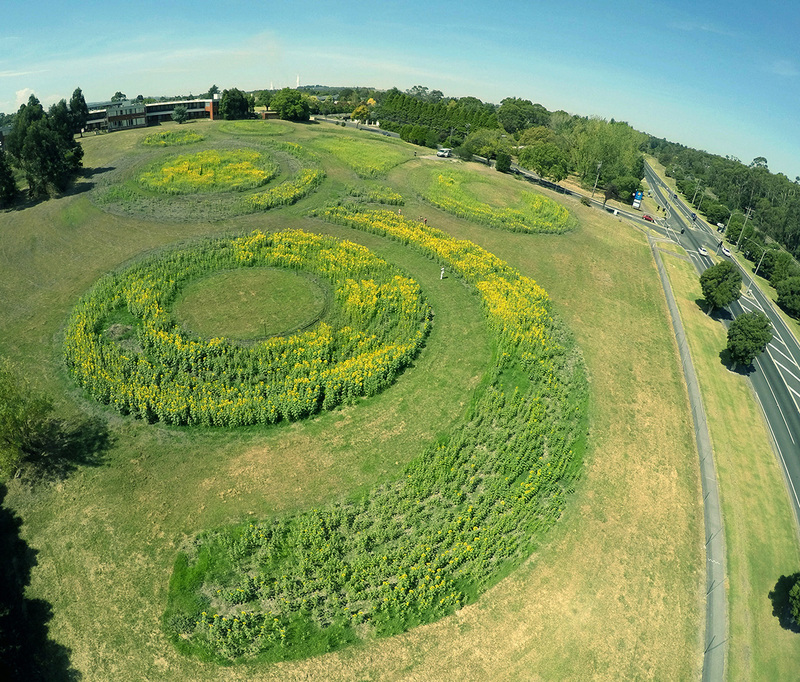 OUTR and Ben Morrieson have been awarded with the Victorian Landscape architecture Award of excellence for community design this year for their Get Sunflowered initiative.